Reason to Celebrate: Just Got Married! Just married! Hooray! Ben and Ellen put up this mini celebration just as they were about to walk down the aisle for the first time as a married couple! 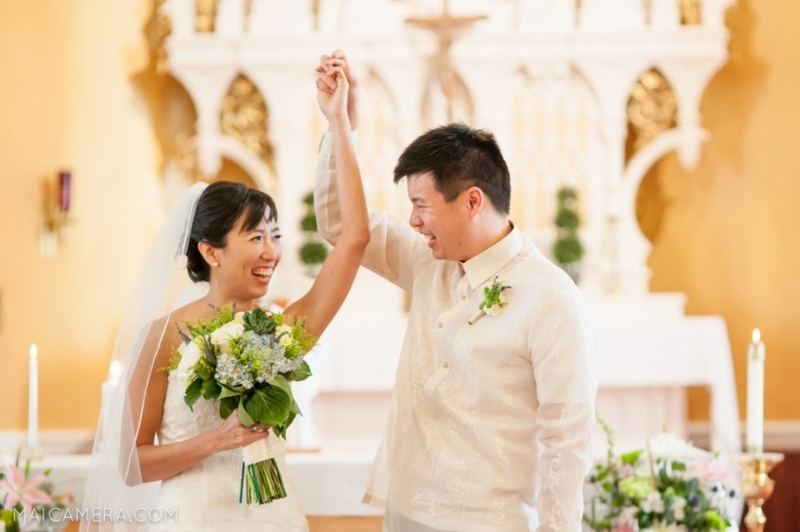 Check out the sneak peek of their wedding ceremony at the adorable Immaculate Heart Catholic Church.